Vivian Maier's street photographs — and John Maloof's discovery of them — is one of the more fascinating found-artist stories of the 20th century. 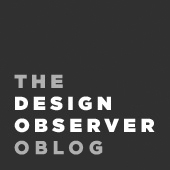 It's a story that's been well documented, including here on Design Observer. Her photographs have been the subject of a number of exhibits, and one of our most popular Accidental Mysteries galleries. Now the story of Maier's life and work is becoming a documentary. Directed & Produced by John Maloof and Charlie Siskel the film currently has no release date — the Facebook page says “The film will be completed this year and will have various release details that we'll announce soon.” We're looking forward to it!